When it comes to Battle Royale games, PlayerUnknown's Battlegrounds (or PUBG for those already inducted into its action) is a name you need to know. Over the past year the game has had a stratospheric rise, going from a Steam Early Access title to a full Xbox release, with a massive following on streaming services like Twitch and Mixer. Available on PC, Xbox One, Android and iOS it'll throw you into a 100 player death match in a constantly shrinking map where you or your team must fight to be the last alive. If you win you get to see the coveted "winner winner chicken dinner" appear on your screen. And you'll undoubtedly screenshot it because it doesn't appear often. Bluepoint has been slower in updates recently due to its efforts to curb cheating in the game. However, it looks like the team is ready to get on with its 2018 roadmap and here you'll find information on the latest additions to both the Xbox One and PC versions of the game as well as what's planned for the future. What's the latest PUBG update for PC? The latest map for PUBG is a smaller affair: approximately four times smaller than the game's usual 8x8km environments. The Sanhok map started out on PUBG's experimental test server, and was originally named 'Savage' for its more frantic, close-quarters gameplay. The map is inspired by islands around Thailand and the Philippines, and features a blend of beaches, jungles, caves, and winding rivers, with a dynamic weather system to really shake things up. The official release of Sanhok also coincided with the launch of PUBG's 'Event Pass', proving month-long access to new rewards and cosmetic upgrades for completing certain in-game challenges. The addition, however, costs an additional $10/£8 over the game's base $30/£27 price tag, and has already seen floods of complaints over consistent bugs and opaque mission instructions. Patch 16 was rolled out on June 26 with a number of new bug fixes and performance enhancements – including concessions to Event Pass players who wanted to earn XP slightly faster. You can read the full patch notes in full on the PUBG site. What's the latest PUBG update for Xbox One? Bluepoint is focusing on improving performance and stability on Xbox One at the moment so that's exactly what you can expect from this update. Alongside standard bug fixes, a host of rendering processes have been optimised to put less of a burden on the game's server and ensure the game runs more smoothly. Can I play PUBG on mobile? You sure can! PUBG is now available on iOS and Android completely free. This is, the developers say, a "perfect" recreation of the PC version of the game in terms of maps and features. There are, however, naturally some mobile optimizations. You can expect auto pick-up, aim assist and touchscreen controls. Though there is voice chat. To play PUBG on your mobile you need to be using at least iOS 9, which means being on an iPhone 5S or newer (though an iPhone 6 is recommended for the best performance. Android owners must be using 5.1.1 Lollipop or later and more than 500 Android devices support the game. You'll need 2GB of RAM to play the game while the download size is around 900 MB. What's coming to PUBG on PC? 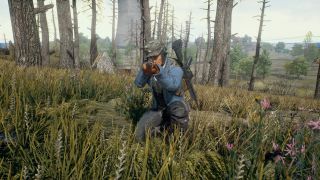 Updates for PlayerUnknown’s Battlegrounds have slowed somewhat in recent months as a result of the development team’s focus on reducing instances of cheating in the game (the update for which has been held back). However, there are big plans for the game throughout 2018 which have been laid out in a March blog post. Starting in March, Bluehole is planning to push out a major update every two months for PC, with each either changing systems or adding new content. A brand new 4x4 map has launched on the game’s experimental test server. This new map is much smaller than any we’ve seen in PUBG before and it will have a higher player density and shorter match times. Bluepoint is promising that this will result in much faster and intense gameplay. There’s also a slightly larger 8x8 map in the works though details on this are thinner on the ground. Bluepoint has announced that Fortnite-style Event Modes will be coming to PUBG very soon. These limited-time special matches will be made available via an update. Bluepoint recently expanded on these new modes, saying that it is experimenting with a new War Mode. War Mode is quite different to a battle royale, giving players a submachine gun from the beginning and respawning team members when they die until one team reaches a 80 points. This is more like traditional online shooter titles and will perhaps be more familiar and less frustrating to those who aren't used to the slower paced and weapong-scrambling nature of PUBG battle royale matches. War Mode is only available for custom servers which can only be accessed by PUBG Partners on Windows PCs but there are plans to bring it to the public in the future. There will of course be continued stability improvements as well as ongoing efforts to curb cheating. Though the list of changes in the works are not exhaustive, they’re a good idea of the ambitious things to come. What's coming to PUBG on Xbox One? The future for PUBG on Xbox One seems to be more focused on improving the quality of player experience because, as Bluepoint itself admits, the game’s performance on console is just not up to the standard it should be. Console players can expect to see a patch released every two to three weeks which will focus on optimizing performance, UI, inventory UX, adding more personalized controller options and improving matchmaking. Players can also expect to see those emotes that the PC version now has at some point down the line. The Miramir map is also finally playable on the Xbox version, but the new 4x4 Sanhok map is still being internally tested before release. Xbox will also soon see a Fortnite-style Event Mode. These limited-time special matches will be made available to all platforms via an update. Bluepoint has said it's keeping things simple with the first event which will be an eight-on-eight match with increased chance of picking up a rifle. It wasn't kidding when it said simple. This is, however, necessary to test the basics of the mode and more matches will be explored over time. Fortnite vs PUBG: which is the Battle Royale for you?